The Terraces of Boise joined the Alzheimer’s Association in using the summer solstice to bring awareness to those living with Alzheimer’s disease and dementia. The community hosted an array of activities and education programs for 14 hours including putting together “a dementia simulator and that allows a person to kind of put themselves into what it might feel like to live with dementia," Beverly Raymond, health services sales manager, told KIVI News. According to news station, around 80,000 people in Idaho alone care for someone with Alzheimer’s or dementia. 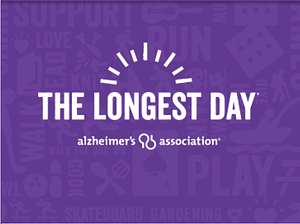 The association’s “Longest Day” event—happening across the nation—was developed to honor those facing Alzheimer’s and help others to understand what they live with every day. Learn more about the “Longest Day” event here.